Indigoextra provide a complete website design service, delivering everything you need to have a truly outstanding website that stands out from the crowd. User-friendly CMS, we will create your site in WordPress, Drupal or PrestaShop, whichever is best for your needs. Beautiful and Professional Design by experienced designers. Logo design can also be included. Mobile friendly website with a responsive layout that look good on mobiles, tablets and PCs. On-Page SEO and Link Building to put your site high with Google in France and internationally. French Translation and Content Writing, if you're not sure what to say, we will write or translate content for you. Extra Functionality including e-commerce, community portals, Google map integration, slideshows, booking forms and more. 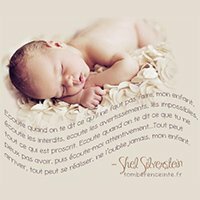 Please scroll down to see some samples of our French websites. 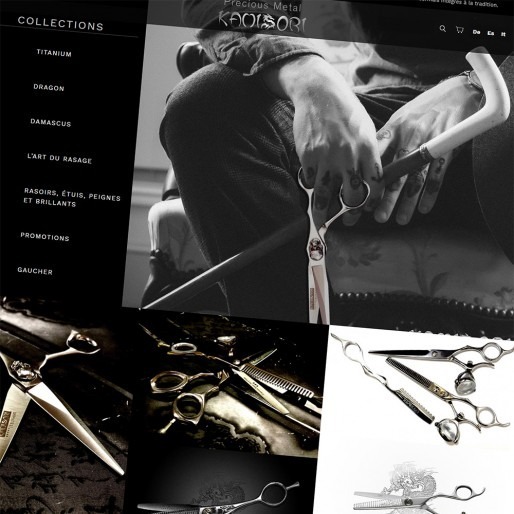 Kamisori sell luxury hair dressing scissors and we were approached by them to translate their site into French, German, Spanish and Italian. We created the site in Drupal ecommerce, designed it to have a responsive layout for mobiles and tablets and optimized it for search engines. 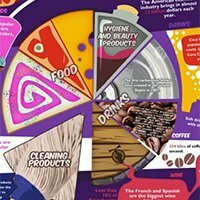 We also configured the site to have a shared database with 4 different domain names and automated translation options, where a phrase that was used repeatedly to describe specific products was translated professionally once, then was automatically translated when new products were added, saving the client a considerable amount of ongoing time. The client said: "I am happy and very grateful for your excellent work and professionalism. You and your team have proved to complete our required tasks on time, looked after us and helped us even when we needed things unrelated to our website work! 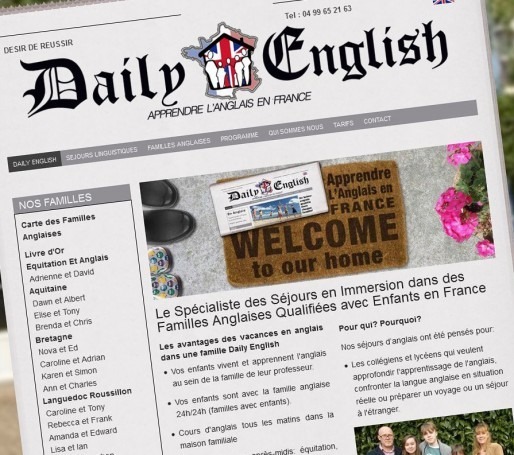 I'd like to continue working together on new projects in the near future..."
We created a responsive mobile friendly web design for Daily English who provide an opportunity for French people to connect with English speaking families in France offering immersion homestays. 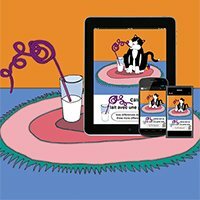 Create an original logo and design the website, including the header and several images. Create a full colour brochure, which you can download from the site. Design the website to be 100% responsive. 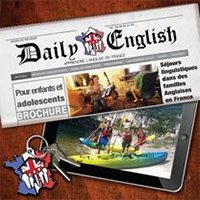 Provide on-page SEO in French and English. 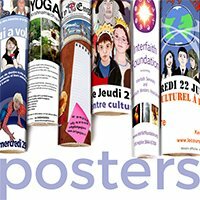 Complete an internet marketing campaign and provide other graphic design services, including designing a poster. 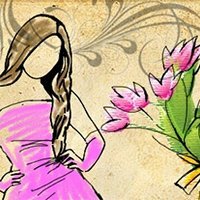 "I was extremely happy with your understanding of my business and the creative website that you designed, the visuals are striking and at the same time convey our services. Indigoextra very quickly grasped our requirements and have produced a website which is easy to manage and update". 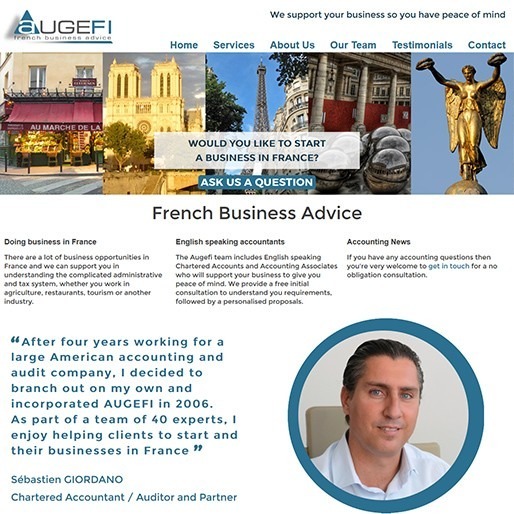 French Business Advice is the English section of AUGEFI, an experienced team of English speaking chartered accountants with 4 offices in Montpellier, Beziers, Agde and Bedarieux in South France. They specialise in helping clients to start or manage a business successfully and can help with the legal, taxation and social security aspects of living in France. We created an original theme for the responsive website and designed it in Drupal 8, a CMS that allows the client to easily update all aspects of the site. Our graphic design work also included creating original headers for the slideshow and adapting their existing logo. We also proofread their site, ensuring that it is written in a way that will appeal to English speakers and provided advice on how to make it user-friendly. Tormey Woods is a bass opera singer in Montpellier, France. 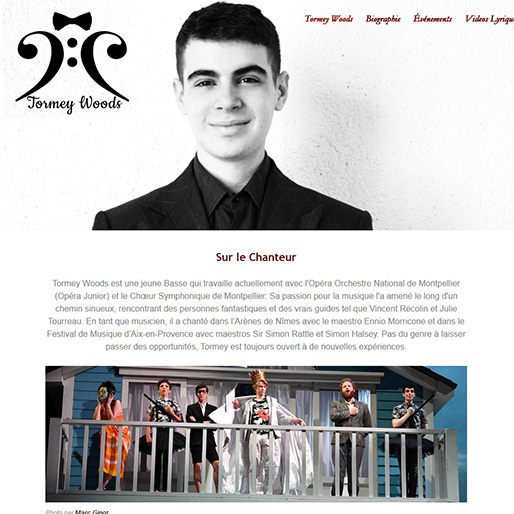 We designed his multilingual English and French website using the Drupal CMS, including a section on past performances and upcoming events (configuring it so that when the date passes, an upcoming event automatically moves to a past performance). The site is responsive and includes videos and a photo gallery. 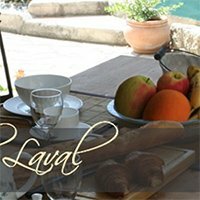 La Bergerie de Laval approached us to create an attractive website for their luxury bed and breakfast in Tourbes, South France. We designed the website in Drupal 7, suggesting that we include photos of the swimming pool in both the header and footer as the swimming pool was an obvious luxurious feature (along with the hot tub). 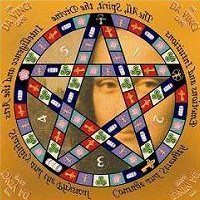 The site includes information on local towns such as Montpellier, Pezenas and Beziers and a few extra features like a booking form and availability calendar, Google map showing the location of the B&B and photo galleries. Indigoextra converted the www.netmefrance.com site into Drupal, redesigning it in the process to give it an impactful design with intuitive navigation. The website has information about a holiday gite in Languedoc, France and the design includes online calendars, slideshows, enquiry forms and SEO. We also translated the site from English to French and configured a section showing local attractions with an interactive map. Developing a successful website needs a combination of skills - it needs a beautiful design that fits with your industry, it needs the development of all the functionality that an interactive website has and it needs effective internet marketing or SEO to ensure that the site is found by search engines. This in turn will generate a regular flow of visitors who, in turn, become customers. Is beautifully designed with the option of original logos, headings and website themes. Has a Content Management System (CMS) that lets you edit the site and provides interactive features such as e-commerce websites, discussion forums, property portals and more. Is optimized for Search Engines with high quality content that reads well and has the right keyword balance in the text, titles, descriptions and other aspects of the website. To further enhance your website's position, we also offer English and French link building, to generate high quality links to your site in order to increase its position in Google and generate more visitors. Multi-lingual web development is one of our specialities and we have developed several websites that are French and English, including e-commerce web design. When developing a website in France, we can provide an admin interface in French and/or English, so that you, or the site's visitors can interact with the site as required, whether it's simply to add comments to a page, or to buy products using an e-commerce platform, or to partake in discussion forums. We also offer French content writing and English to French translations, so if you're looking to enter the French market, but don't have fluent French yourself, this doesn't pose any barrier. Our team includes several fluent French web designers and developers and French SEO experts and content writers, to ensure that all content on French websites is written in flawless French. Using Indigoextra's service allows you to have a beautiful French website designed with any interactive features you require and a high position in Google.fr and other search engines in France. Don't hesitate to contact us for a free web design or SEO quote. You may also wish to view our sample website designs for UK companies.